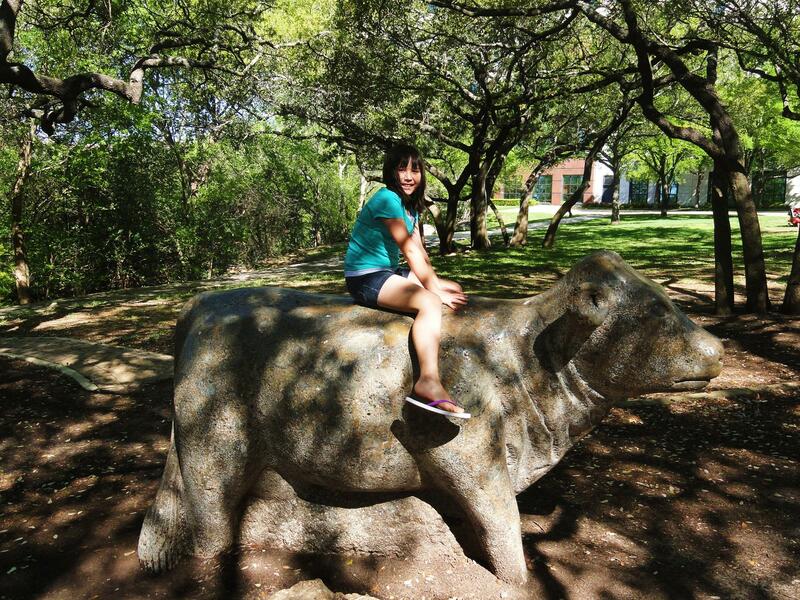 My photos for this Saturday Snapshot are from our trip to TX for Spring Break last week. We got to visit a lot of friends and family, and we saw a bunch of Austin Favorite’s. This is my little heart on one of the concrete bulls at the Arboretum. 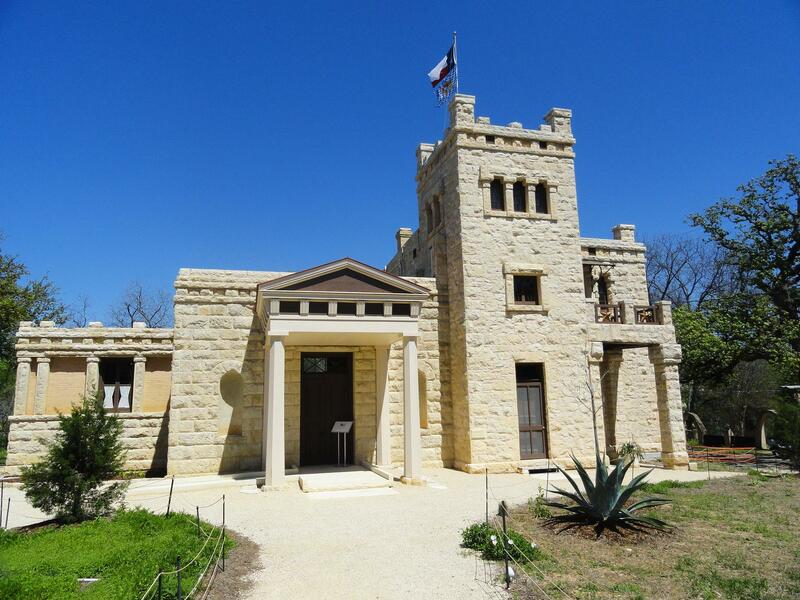 We visited the Elisabet Ney museum. 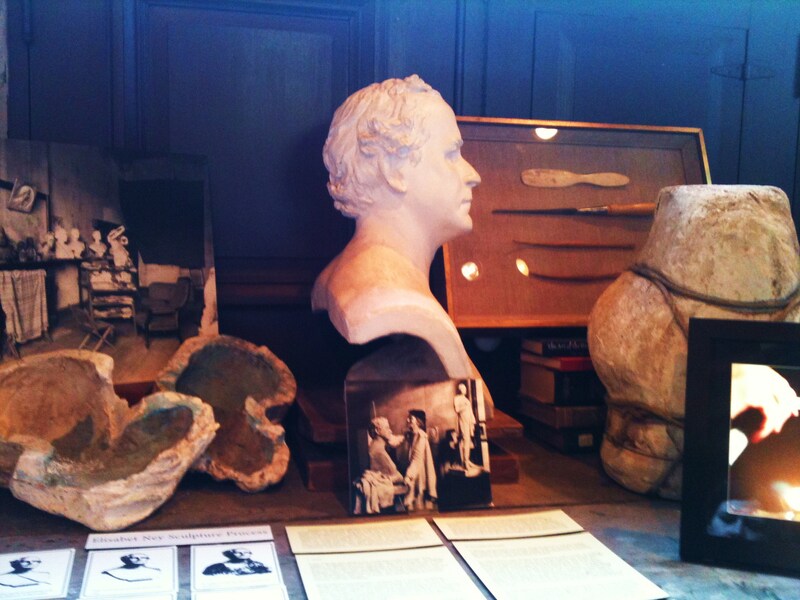 Here is some background on the museum and the sculptor, Elisabet Ney (from the Lone Star Junction). “A pioneer in the development of art in Texas, Elisabet Ney was born in Munster, Westphalia, Germany on January 26, 1833. She became the first woman sculpture student accepted in the Munich Art Academy. Her talents were soon recognized, and she received commissions to model a number of famous men, including Bismark, Garibaldi, Schopenhauer, and King Ludwig II of Bavaria. While visiting a friend in Heidelberg, Elisabet met and fell in love with Edmund Montgomery, a respected physician, scientist and philosopher. They were later married, but Elisabet continued to use her maiden name. About 1870, Ney and Montgomery decided to move to America. After living in Georgia for two years, they chose Texas in 1872 as their permanent home. In Texas, they purchased the Groce Plantation near Hempstead, a well known landmark of antebellum Texas. The couple spent the next two decades centered around the plantation, which they named Liendo. After a twenty year lapse, Elisabet resumed her career as a sculptress in 1892. She was commissioned to model Sam Houston and Stephen F. Austin for the Chicago World’s Fair in 1893. 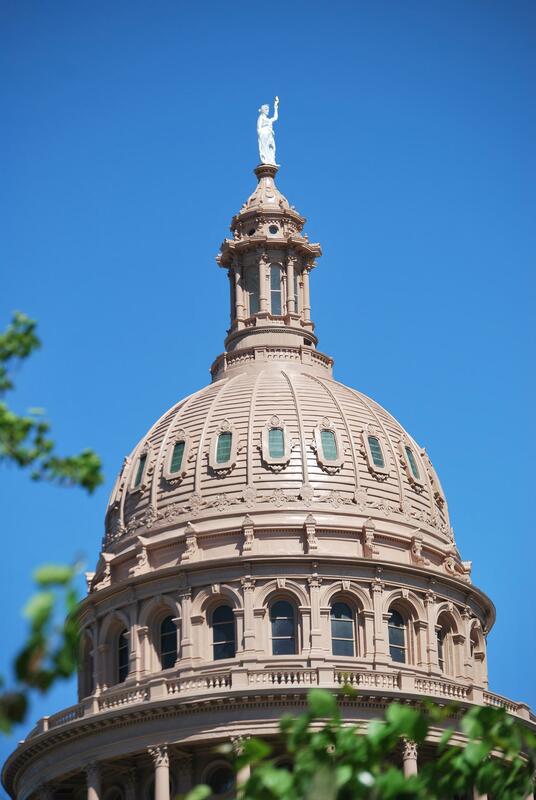 The sculptures of Houston and Austin can now be seen in both the State capitol in Austin and in the National Capitol in Washington, DC. A mold used for sculpting. 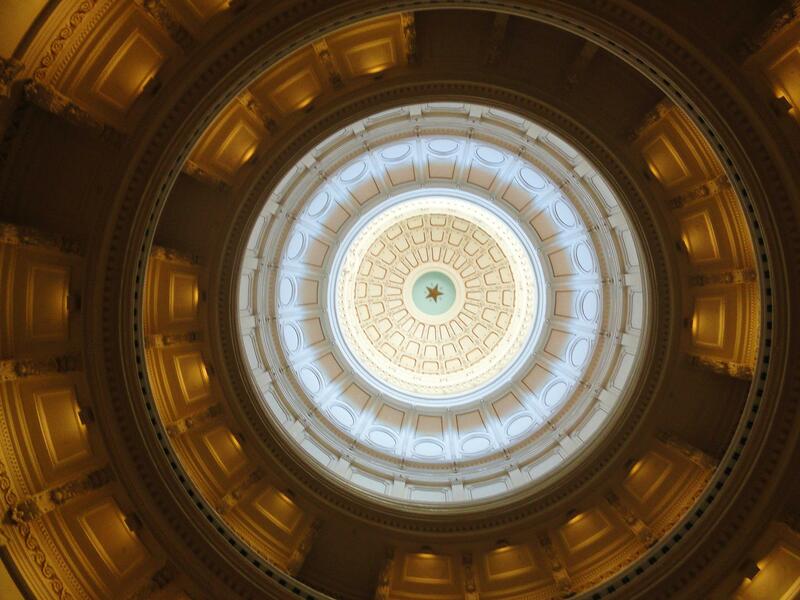 This is standing in the center of the lower floor looking up at the Texas State Capitol building in Austin, TX. 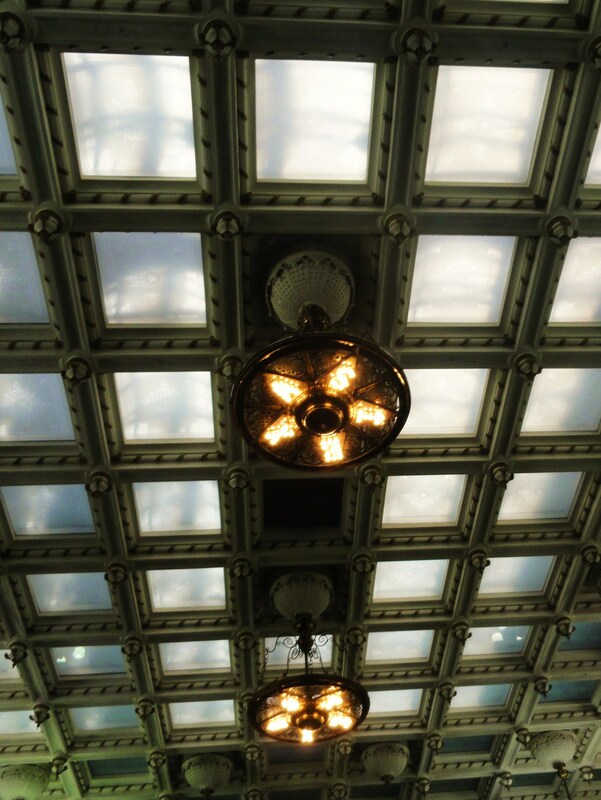 These original chandeliers, 124 years old, are in both the Senate and the House rooms – notice the shape spelled out by the bulbs – T-E-X-A-S. 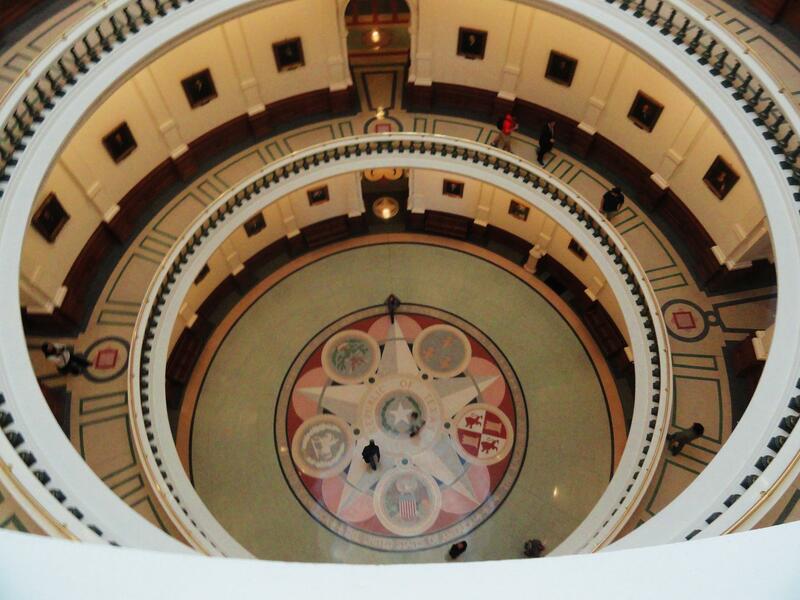 This photo is taken from the fourth floor balcony (the highest level currently open to the public), looking down – this star on the floor mirrors the star in the center of the ceiling. On closer inspection you can see a crack in the star on the ground level – many years ago a painter was on a scaffold on one of the upper levels painting. The scaffolding broke, and he plummeted to granite floor – leaving a crack in the star. Another fact – when you are standing on the star on the ground floor, when you speak it creates an echo – but only you can hear it. This is zooming in on the outside of the Capitol building. The statue, named “The Goddess of Liberty”, was placed on the dome of the Capitol in Feb., 1888. And no trip to TX in the Spring would be complete without photos of Blue Bonnets. Thank you, Guatami! I also enjoyed your Saturday Snapshot! Looks like you had a lovely trip. I particularly like the Capitol building, and of course the wildflowers. Thanks, Louise! Yes, we certainly did! 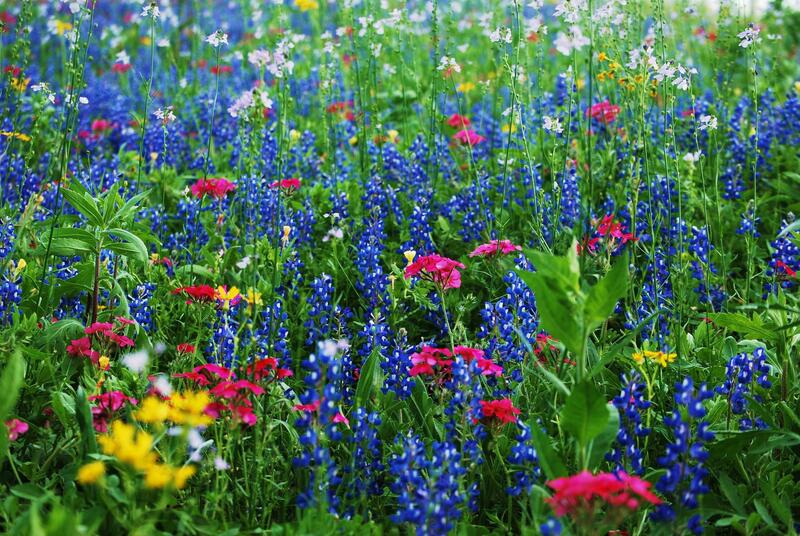 Love, love, love the wildflowers! Thanks, Cathy! They were gorgeous in person! Gorgeous photos! I like that you included all of the background information on the artist. I never would have noticed the “Texas” bulbs if you hadn’t pointed them out. Thanks, Alyce! I loved getting to show my little one all the stuff I grew up around! Gorgeous, gorgeous! Are you from Texas? I’m in Georgetown – moved here from Austin last summer. When I saw that first picture, before reading your caption, I thought, “Hey that looks like the cows at the Arboretum!” – and it was. I’ve been to all the places you showed. Good job showing off Austin at it’s prettiest! Thanks, Kay! Yes, I’m originally from Austin, born adn raised! We moved about 8 years ago, and I wanted to show my little one all the fun stuff there that she didn’t remember. Thanks for stopping by and for your comment! Wow – that last photo! Thanks! I just love love the bluebonnets! Looks like a wonderful trip. The wildflowers look lovely. Thanks, we did have a great trip! Thank you for that tour! It was very interesting. 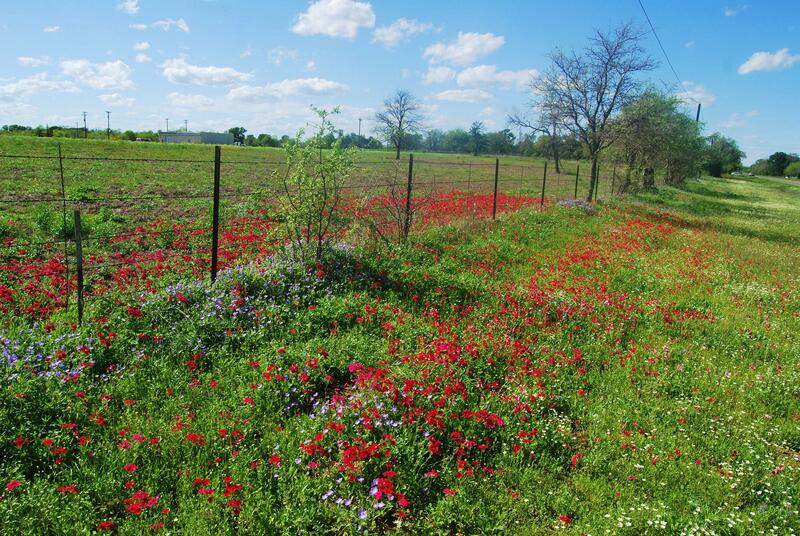 Those wildflowers, though . . . wow! That one’s worth framing. Thanks, Trish! I appreciate you stopping by and for your kind comment! I love photographing nature, and the bluebonnets can’t hardly take a bad photo! Beautiful shots. I’ve never been to TX so it was fun to see some of your state. Thanks, Kaye! I do miss living in Austin – it’s very ecclectic, and very beautiful!